With a round brilliant cut diamond at it’s heart, this style is as sparkly as it is striking. Framed by an octagonal-shaped scallop set diamond encrusted halo with diamond set shoulders, this design is an inspired take on the classic round halo ring. Perhaps you love this style or yearn for something similar? 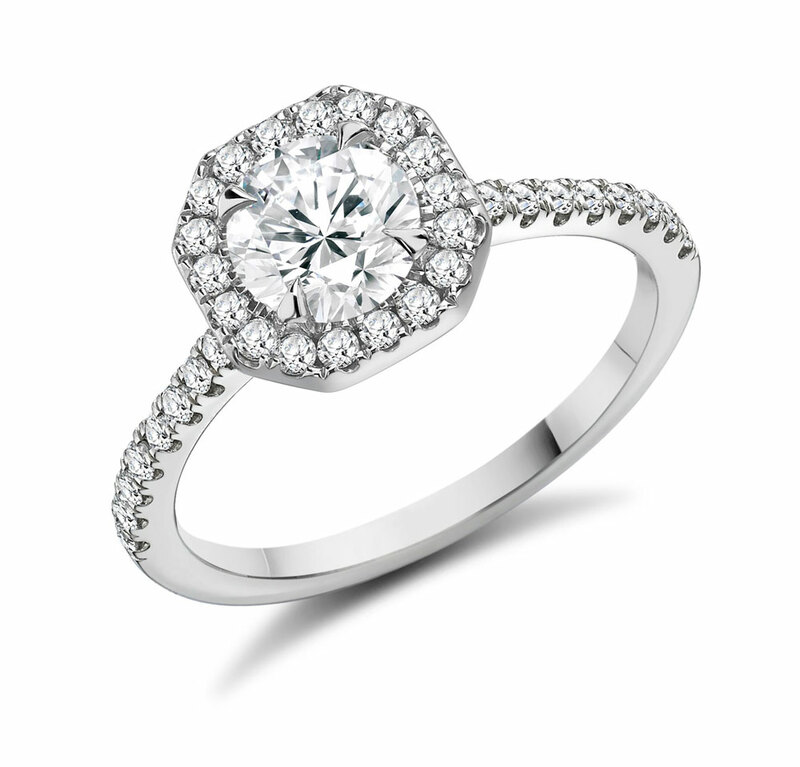 At Voltaire Diamonds we will be happy to work with you to create the ring of your dreams. We are based in beautiful and relaxing offices in Dublin 2. Make an appointment today to visit us and start the journey to your perfect ring.